Rebecca* defends her clients vigorously when everything is on the line. You want her on your side in cases that involve professional liability, class actions, corporate negligence and public and administrative law. With her impressive trial and appeal experience, Rebecca defends§ your case with a singular focus and commitment to getting you the best result. To Rebecca and her team, it's not just about it winning; it’s also about protecting reputations‡ , no matter what the situation. But the courtroom is not Rebecca’s only focus. A regular contributor to legal education and a leader of our Pro Bono and associate initiatives, Rebecca goes out of her way to give back, too. .
Rebecca is an experienced trial and appellate lawyer. She represents private and public sector clients in professional liability matters, class actions, commercial disputes, and administrative and public law proceedings. Rebecca has acted as independent legal counsel, and is currently acting as Commission Counsel to the Long-Term Care Homes Public Inquiry. Rebecca appears before all levels of court in Ontario, and as counsel in commercial arbitrations. Rebecca is a trusted advisor, who provides strategic advice to clients facing complex legal problems. Rebecca is a regular speaker on numerous subjects including trial practice and professional liability and regulation. 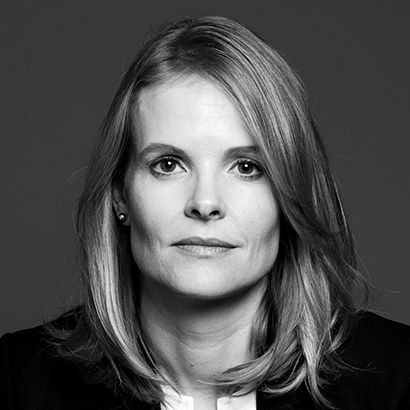 She also chairs the firm’s Pro Bono Committee, facilitates the firm’s pro bono work with the Refugee Law Office, and co-chairs the firm’s Associate Program. Counsel to the plaintiff in an action concerning alleged de facto expropriation, misfeasance, and unjust enrichment relating to the plaintiff’s efforts to develop its lands within the Halifax Regional Municipality. Counsel to the moving party solicitors in a successful motion to oppose confirmation of an assessment officer's certificate. Decision upheld on appeal to the Court of Appeal. Counsel in a successful defence of a motion for leave to issue a Certificate of Pending Litigation. Counsel to defendant physicians in a medical negligence action relating to communications by the defendant physicians to the College of Physician of Surgeons of Ontario. Successfully moved to strike out the plaintiff's Statement of Claim. Counsel in a successful motion on behalf of a tenant for a declaration involving a dispute over a deposit and occupation rent. Rebecca Jones was a member of faculty at The Osgoode Certificate in Health Law program. She spoke on "Medical Malpractice: Theory and Practice" which provided a key insight into the adversarial process in malpractice litigation and causation basics. Rebecca Jones article appeared on Bill Innes on Current Tax Cases on July 2, 2015, published by Carswell Media. Rebecca Jones' article appeared on Bill Innes on Current Tax Cases on June 23, 2015, published by Carswell Media.